A very special dish with a drop dead price they said. 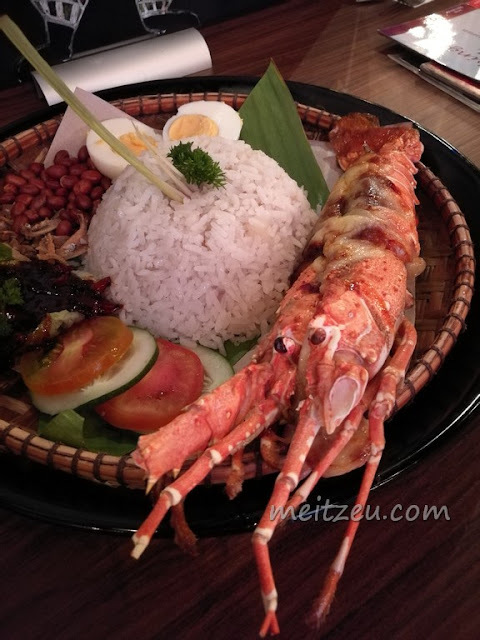 Limited to only 30 plates per day and each Lobster Nasi Lemak comes with whole lobster at 400 +- grams. Valid for three months from October to December 2017. 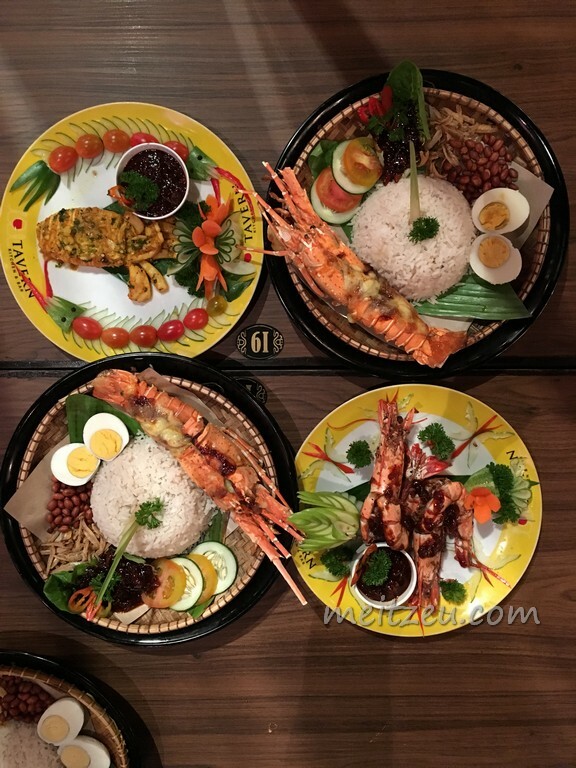 Priced at RM49.00 for each Lobster Nasi Lemak. Such a deal! Fragrant coconut infused rice, pandan leaf and traditional ingredient to enhanced the rice flavour. Sambal to spice up and the norms to eat a proper Nasi Lemak dish, toasted peanuts, ikan bilis (anchovy). 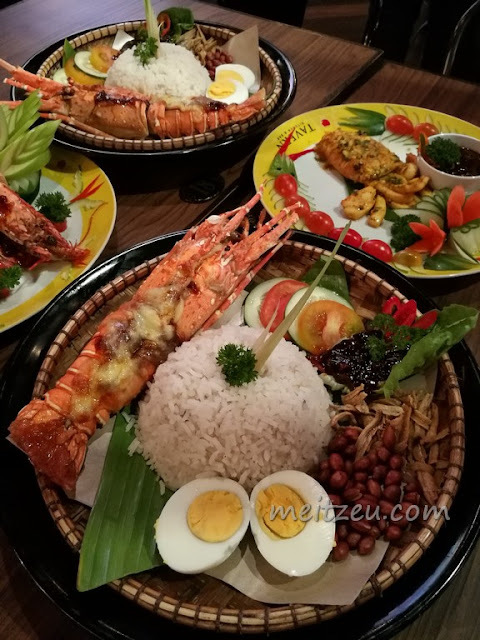 The highlight of Tavern's promotion, the LOBSTER that is oven baked with chef marination ingredient, mixture of special sauce topped with cheese. 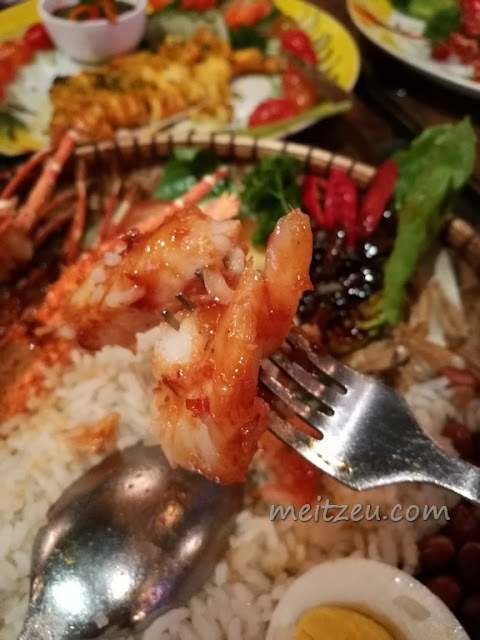 I may say its Western + Asian + Malaysian flavour and more over with Sabah seafood. 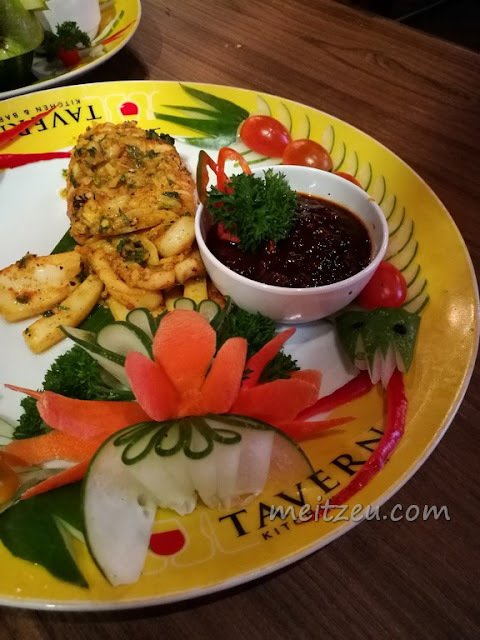 Three specialties of Tavern's promotion for three months. 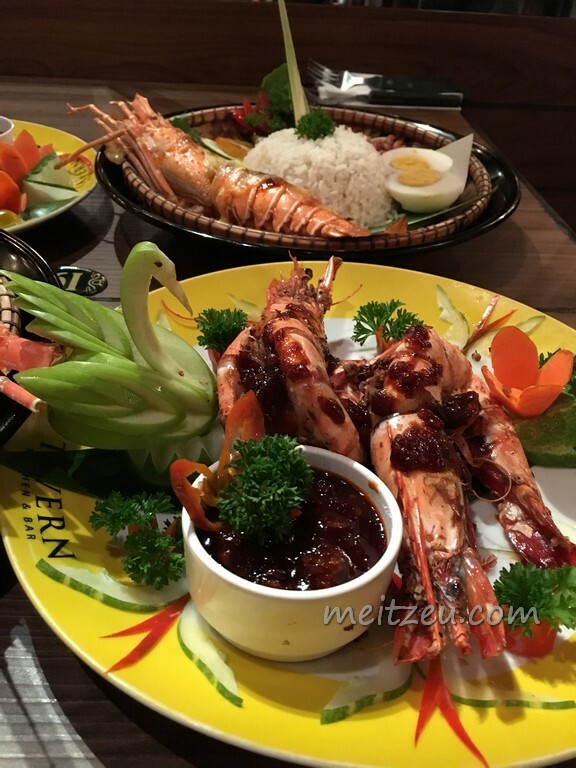 Ala Cart with Tiger Prawn and Giant Squid. Marinated with garlic, TUHAU (A local wild ginger that favourable by the native here) and top with small amount of cheese. 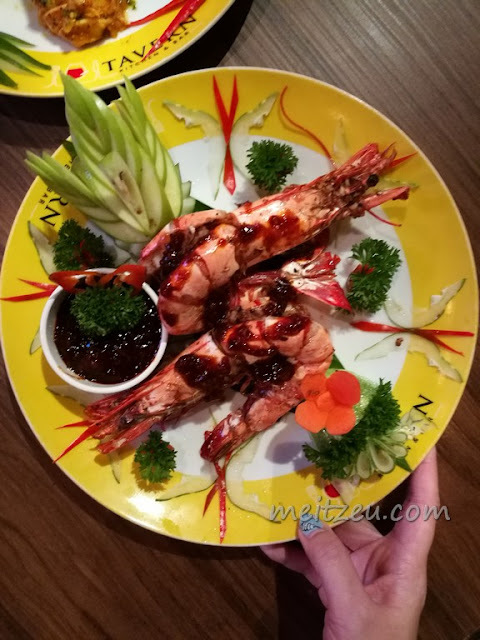 Marinated with chef specialty and served with sambal and acar. I love this plate of Tiger Prawn, the hint of Tuhau with it. Something different to taste locally. It was an unexpected and good deal for the weekend and even on weekdays. Do visit them earlier or even call for a reservation and book your meal today before it runs out! 30 plates a day? That luxury on a plate that might runs out fast! Tag me at Instagram "#meitzeutavern" if you happen to visit Tavern and had a taste of the luxury on plate! KK Times Square Phase 2, Jalan Coastal, 88100 Kota Kinabalu, Sabah, Malaysia. Live for the first time on food tasting.